In 2006, Bela Breslau and Stephen Billias founded the Shintaido Farm, a center for the practice of Shintaido. Many, many Shintaido events were held there during its ten-year existence. In 2016, Bela and Stephen sold the Shintaido Farm. What has become of it since then? The Shintaido Farm is now known as the Windhorse Hill Retreat Center, housing the Engaged Mindfulness Institute. It is a thriving enterprise under the leadership of Fleet Maull, a student and Dharma Successor of the late Roshi Bernie Glassman of the Soto Zen Buddhist sect, and Kate Crisp, who lives at the farm and is the Executive Director of the Prison Mindfulness Institute. The guest instructor list of the Engaged Mindfulness Institute reads like a who’s who of American Buddhism: Joan Halifax, Pema Chodron, Joseph Goldstein, Rick Hanson, Jack Kornfield, and Sharon Salzberg have all taught there. Fleet and his business partner Kate Crisp have expanded the house in several interesting ways. They converted the two-car garage into an office. They extended the dojo entryway deck and added a bathroom off it. They finished the basement. They added sconces on the dojo walls, a very attractive lighting change. 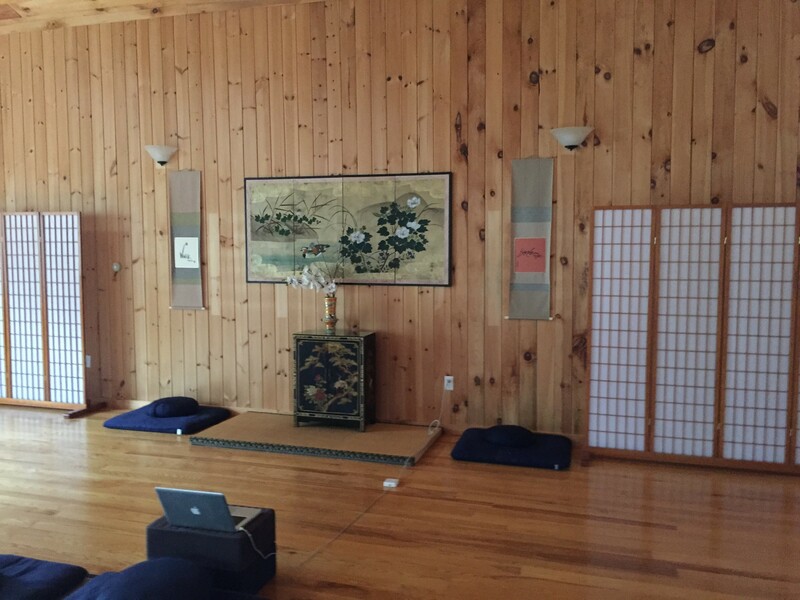 The dojo, which Stephen kept empty as a sacred space for the time it was the Shintaido Farm, is now a multi-use space. The front east-facing part with the two big windows is a meditation room. 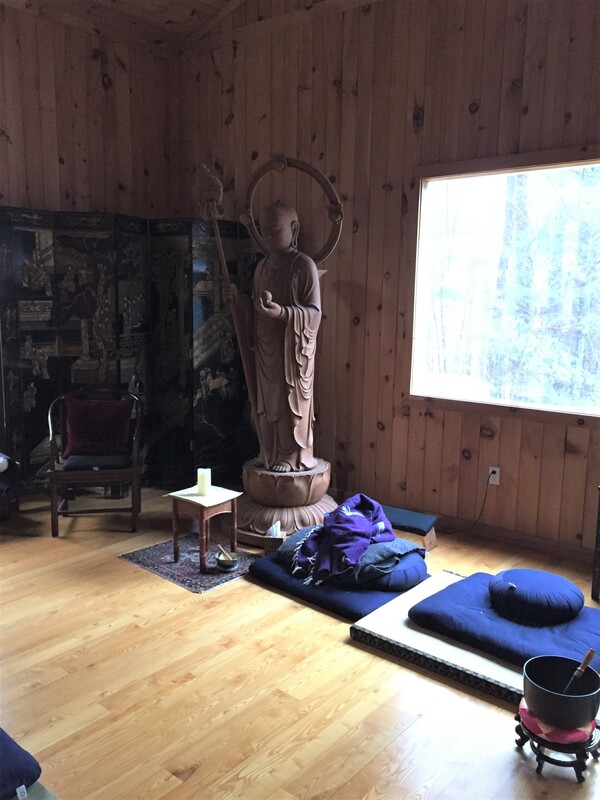 A large statue of Jizo, the bodhisattva who is the protector of travelers and the unborn, stands in the northeast corner of the room, a gift from Roshi Glassman. A set of shoji screens divides the room. 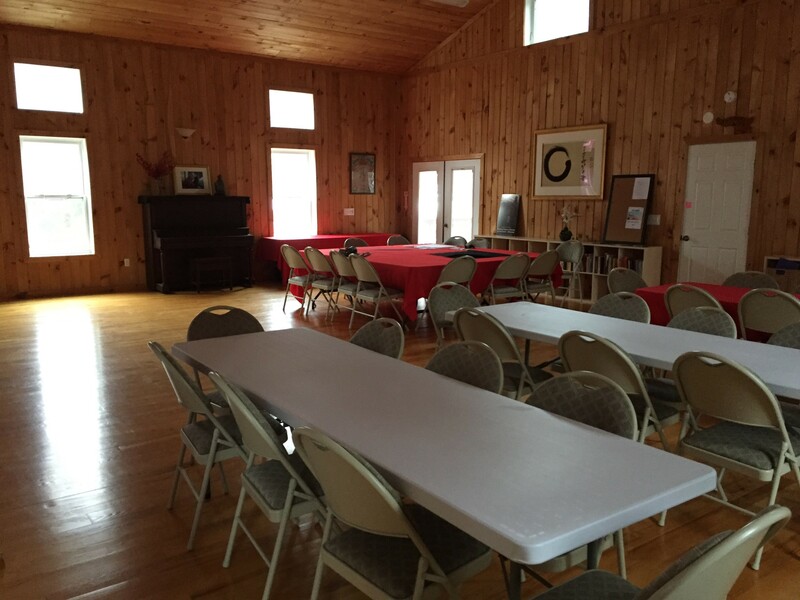 The back third of the dojo is now a meeting area with tables and chairs. The piano has been brought into the dojo from the living room. We like to believe that the spirit of Shintaido still resonates in the space. A young organizer named James Frank told us that he occasionally sleeps in the dojo for the good feeling he gets from doing that. He said that many people have commented on what an ideal meditation space it is. The room still has glowing ash floors and bright yellow pine walls, now covered with many lovely Buddhist scrolls and paintings. If you visit the website, you’ll see many pictures of the place as it is used now, with students in meditation and meetings. Bela and Stephen are excited and gratified that the Shintaido Farm has become a lively and active place of spiritual development. All who participated in the Shintaido Farm experience contributed to the feeling that we created, and we can all be thankful and that good and important things continue to happen there. On October 19th, 2019, from 2:00-4:00 p.m., Bela and Stephen are returning to the place on River Road for a book launch/book signing/book party to celebrate the publication of Stephen’s collection of short stories entitled A Book of Fields: Tales from the Pioneer Valley. A local band called The Green Sisters, made up of four real sisters who play and sing Appalachian folk and other musical styles with wonderful sisterly four-part harmonies, is going to provide music, taking advantage of the amazing acoustics in the dojo. See The Green Sisters Gigs web page. This is an opportunity for those who cherished the Shintaido Farm to pay a remembrance visit. 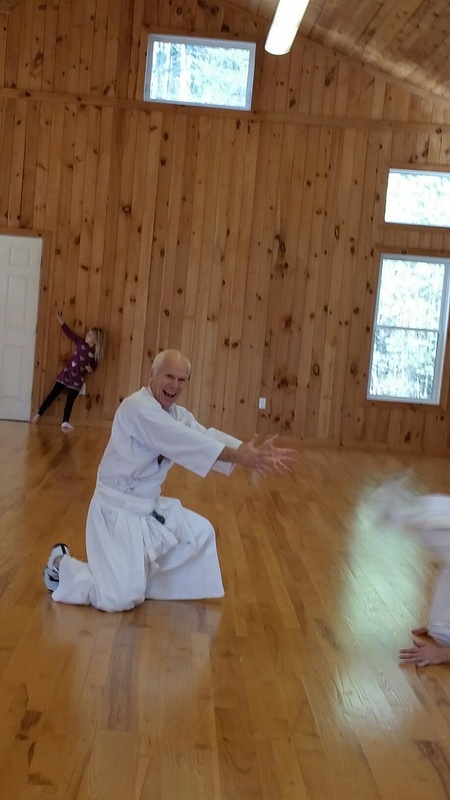 Best of all, the Shintaido spirit that flourished in New England before the founding of the Shintaido Farm continues to burn brightly in the hearts of Shintaido Northeast (SNE) practitioners even after the Farm is gone. SNE is still dealing with the loss of its leader Joe Zawielski. We have hundreds of pictures of Joe giving gorei in the dojo and on the fields of the Shintaido Farm. His teaching and his spirit imbued the Farm with some of its special magic. Gambatte all! What a wonderful next life the farm is having. Thank you for starting the Farm on a path and sharing its current chapter. It is heartwarming to see the new incarnation of our beloved Shintaido dojo. One can sense the calm, yet strong energy eminating from that room, still. I cannot help but think that all that we put out there into that sacred space lingers on. Congratulations Stephen on your upcoming book launch! And a sincere thank you to both Bela and Stephen for creating the Shintaido Farm and for providing a place for us to grow and thrive in our Shintaido lives.